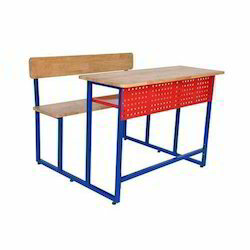 Our range of School Desk is manufactured using quality raw material such as wood, mild steel and others. It is designed with attention and is tested on various quality parameters to ensure that they are completely flawless. 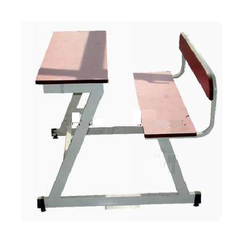 These School Desk is designed using state-of-the-art technology and latest machinery. 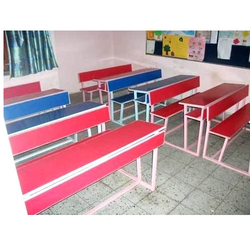 We offer a wide range of School Furniture that is available in contrasting colors and designs to appeal children. Our range of school furniture is in line with industrial standards and is available in various dimensions and sizes to suit the variegated taste and preferences of our clients. 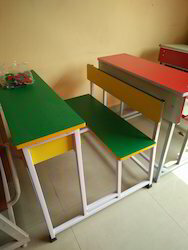 We are the leading manufacturer of School Furniture Desk. The comfort for students is a priority for all schools. 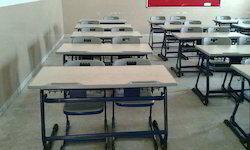 A class room session can have the contemporary school furniture in Mumbai. We are manufacturers of premium quality outdoor school furniture. The quality of wood is high. The wood is treated with disinfectants to avoid any kind of infestation. It is a good idea to have a look at our range in all kinds of furniture. If you are renovating, a particular section of your school we can help you with the same. Students spend a lot of their school time sitting and writing. Hence it is important to have good seats that are easy on their gentle body. 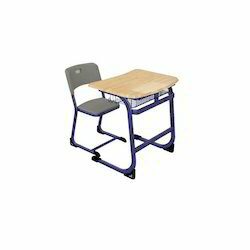 Product Dimensions (length x breadth x height) 36"x32"x30"
Within the short time period, we are engaged in presenting an excellent grade of School Chair Desk. 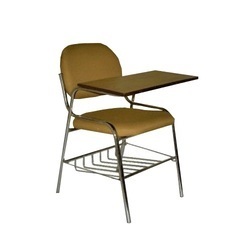 The offered chair and desk set is made of 1" square pipe 16 SWG with front and shelf. Also, the offered chair and desk set is built and developed adhering to industry standards. Furthermore, our professionals opt for strict quality inspection made on the chair and desk set to ensure flawless performance. 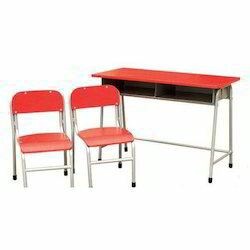 Besides, clients can get the chair and desk set from us at industry leading cost. 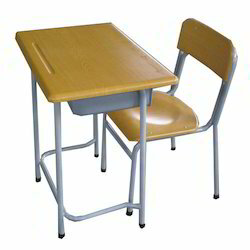 We are successfully ranked amongst the trustworthy entities offering a wide range of Wooden School Desk. This a dual desk made of 1" SQ pipe with laminated board with mica with shelf. The offered desk is manufactured using quality materials and adhering to industry standards. Our professionals opt for strict quality tests so that kids and children can use the desk carelessly. We ensure complete safety and comfort to provide the kids and children. Clients can get the desk from us at industry leading rates. 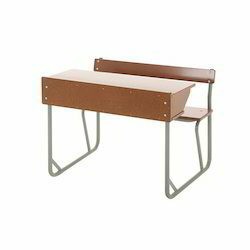 The Student School Desk made of 2" x 1" Rectangular pipe in shape of Z having option for shelf, top seat and back made of 18 mm thick commercial board with 1 mm thick mica. 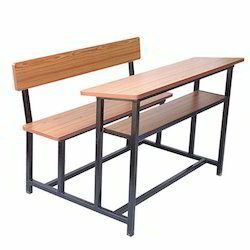 School Benches offered is made available in quality fabricated finish in standard and customized dimensions. 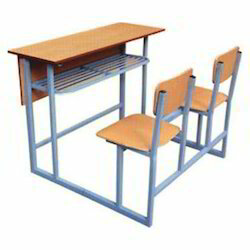 Looking for School Desk ?